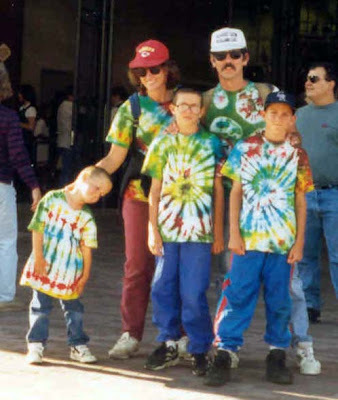 I've drawn a number of comics about my parents' fascination with tie-dye. Here's visual proof. I'm the one in the middle with the Harry Caray glasses. You should do a cartoon about your dad's awesome 'stache. Does he still have it?